Matthew is twelve years old and lives in Shifnal, England! He’s in 7th grade and enjoys horseback riding, playing violin, and coding. 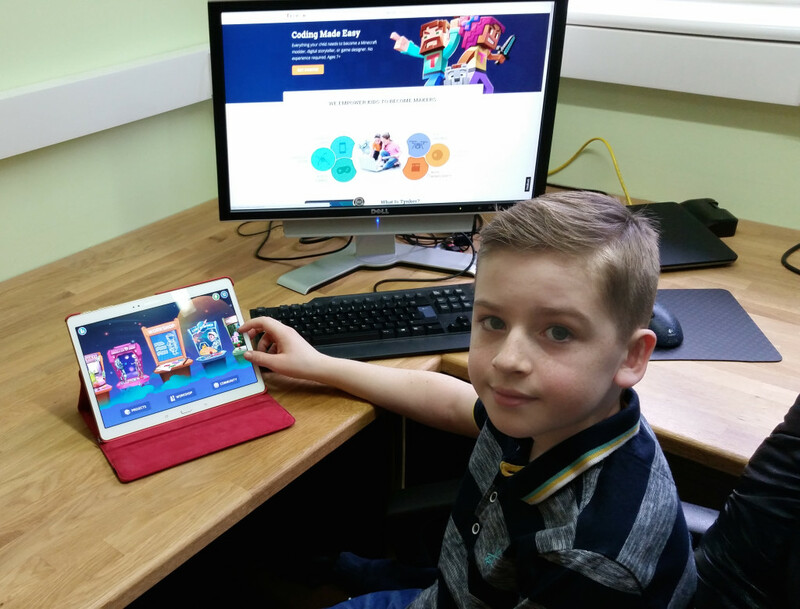 We loved his projects, and spoke with him to find out what he likes about coding with Tynker. What’s your favorite subject in school? Music. What do you want to be when you grow up? Probably a businessman – running a company and making a website, selling products like school equipment. How did you get introduced to Tynker? Probably from school and my dad. My brothers go to school and their school uses it, and I got interested. I asked, “What is it?” They told me, and I started using it. How long have you been using Tynker? A year or two now. How did you learn to use Tynker? I used the tutorials at the start, and that helped me. Definitely school helped as well. What’s your favorite feature in Tynker? It’s hard to say, there’s lots – it’s just easy to use, especially for kids. What is your favorite thing you’ve made? Probably the game I made recently. It’s a zombie game where you have to try and kill the zombies. Do you look at the Tynker community? Yeah, it’s good. It gives me inspiration. Are you working on anything currently? Yes, I’m making a new version of the game I recently just made. It’s got different maps and different backgrounds. Why do you like to code? Because once you’ve finished it, it’s really fun to play it. Do you think other kids should try coding? Definitely. It’s really fun. What advice would you give for kids starting out with Tynker? I’d probably say, just let your imagination go loose. We agree that coding is an increasingly important and applicable skill. Thanks for chatting with us, Matthew and Andrew! We can’t wait to see all your incredible drawings in the game you’re working on. Keep Tynkering! Matt Thinks Everyone Should Code!